The SUM function allows you to add up values despite the present of missing values. The usage of the Plus Sign (+) has been demonstrated in the previous session. 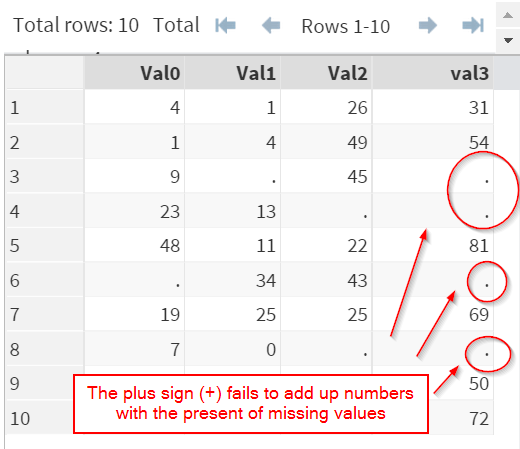 The downside of using the Plus Sign (+) is that the summation will not be performed with the present of missing values. 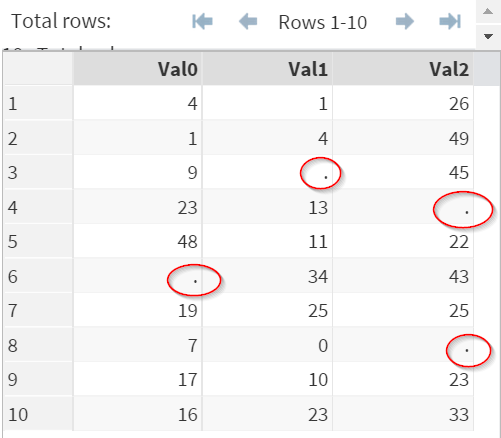 The NUMBERS data set above contains 3 variables: Val0, Val1 and Val2. 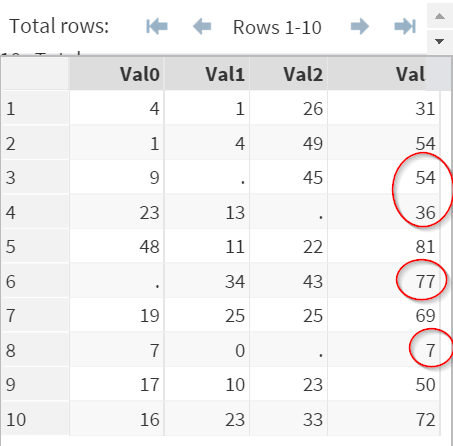 Some values from the data set are clearly missing. Now, we're going to add up all 3 variables using the Plus Sign (+). The numbers were not added up when there are missing values! This is not good, as you could potentially lose tons of data because of the present of just 1 missing value! The better way to add up values is to use the SUM function. The SUM function will ignore any missing values when adding up the numbers. No data will be lost due to missing values. You can have as many parameters in the SUM function as you want. Copy and run the SALES data set from the yellow box below. 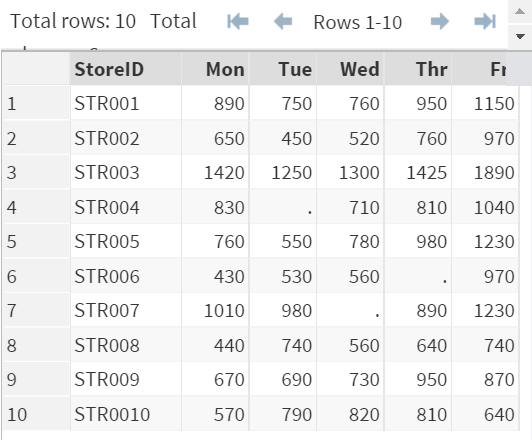 Write a SAS program to calculate the total sales of the week. Create any data set or variables if necessary.